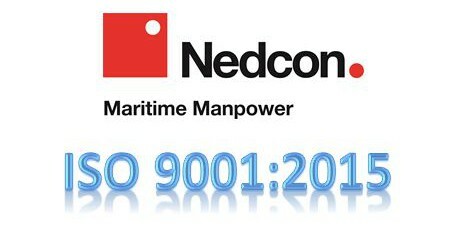 NEDCON Maritime Manpower Supply: New certificate in force for NEDCON Maritime Manpower Supply! We are proud to announce that we are the first maritime manpower supply company in Romania certified on the new ISO 9001:2015 standard! 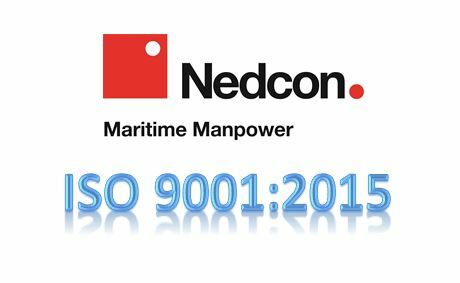 As soon as the new International Standard ISO 9001:2015 has been launched, NEDCON Maritime Manpower Supply performed the training to make the transition to the new standard, proving the appetency to implement in the Company the best practices and the opening to all changes and innovations. All the documentation has been updated according to the new requirements and the Quality Management System was improved in order to comply with the new standard. This was not an easy task as the new standard proved to be much more complete and the requirements more complex than the last edition, all this leading to a much better developed and implemented Quality Management System. During the Lloyd’s Register external audit which took place between 13 – 15 January 2016, the revised documentation was checked according with the new standard requirements. All the new criteria were applied in the new management system and all requirements of the new standards were met. The final report stated that the NEDCON Maritime Manpower Supply Quality Management System complies with the requirements of the new international standard and all the items were passed with success, no unconformities were identified. We are now looking forward to receiving the new certificate for NEDCON Maritime Manpower Supply. We invite you to visit our website www.nedcon.ro for more information about our company.